The problem with a newly introduced OS is that chances are, old software will not be compatible with it. I've seen, heard and worked on it before when I was a TSR in Dell Account when Microsoft introduced SP2 for XP. We've got tons of calls about software compatibility and obviously patches from the software manufacturer and Microsoft are needed in order for them to work harmoniously. Now that's the problem that I have with Vista. No, let me change that statement. Its hubby who's having a big deal about it since the software and games that I played were in there "happy place" with Vista. It's Hubby's fave games that are having a ramble with Vista. (1) Warcraft (DOTA) - Lucky for him it was installed without any problems. The only thing is that when you're playing the game, the screen flickers every once in awhile which is annoying him. 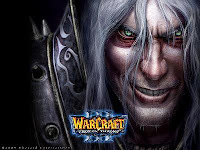 Hubby told me that the graphics of my lappy has a problem but when I made a research, there's indeed an issue between Warcraft and Vista that I'm not sure if there's a software patch to fix it. The only solution that I found was to set the compatibility of Warcraft to Windows XP mode which I haven't tried yet because of Game # 2. 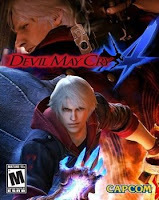 (2) Devil May Cry 4 - This is the game that corrupted all the files that we have in my lappy including the other software. Good thing that there are no personal files on the hard disk yet. So I have no choice but to launch the restore manager utility in order to reset the laptop in its factory installed state and I have to reinstall the software back again. Hubby didn't install Warcraft for the meantime. (3) Diablo II - We installed it yesterday and it went through just fine but the problem arises when you're playing the game (same as DOTA but worst). The screen will flicker back and forth to the game and desktop then it will turn black. You know that the game is running since you can hear the sound effects but no video. We tried adjusting the compatibility properties of the game to Windows XP and Windows 2000, setting the colors to 256 and turning off the display themes, etc. to no avail. I made a research for this game on running in Vista and I found this site (http://www.rpgforums.com/forums/software/101246-how-play-diablo-2-windows-vista.html) that has workarounds in order to run Diablo II in Vista. Obviously, Game #2 is out of the list for good! As for Game #1 and Game #2 we will try the tweaks tried by other gamers (most of them in the US). I just hope that the games will work this time. I don't want my lappy to crash every now and then because of the games. Geeze!